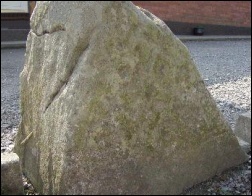 There are a couple of examples of Rock Art dating from the early Bronze Age in the area. 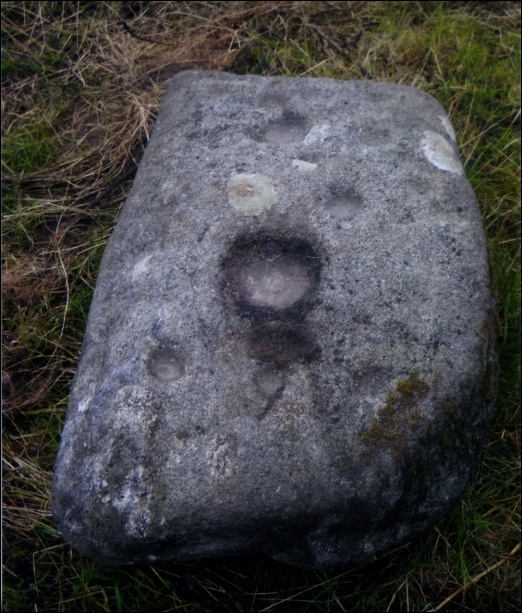 A granite boulder at Knockbrack shows a large rayed and circled cup mark surrounded by 12 smaller cup marks. It is dated circa 500 B.C. 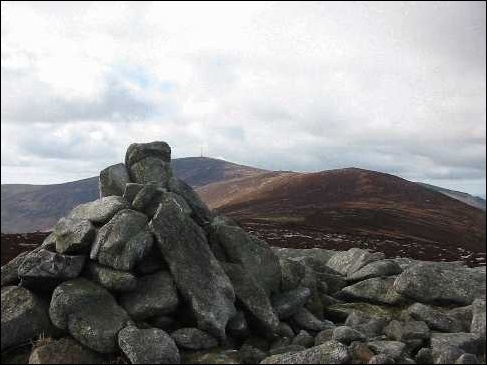 and bears similarity to many others found in Britain and north France. 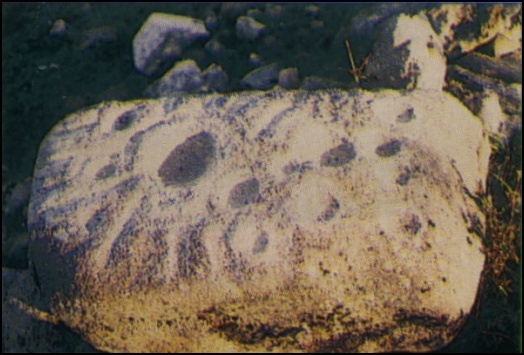 A triangular example of Rock Art is in the possession of Mr. Michael Slye, Coolasnaughta and bears shallow decorations including at least four cups and circles, two X’s and several cup marks. 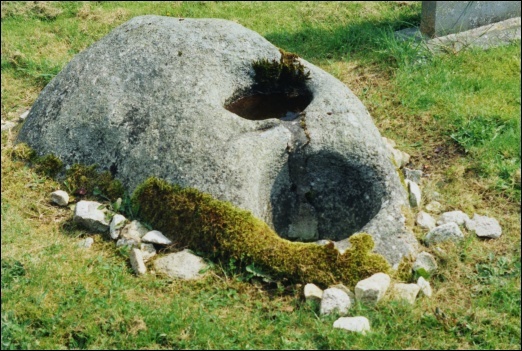 More information on Knockbrack stone, sepulchral cairn at Slievebawn and the bullaun stone in St. Finian's Church.